At Fitzpatrick's Accident Repair Centre we are approved by all of the leading insurance companies, including Axa, Aviva, RSA, FBD, Patrona, Liberty, Footprint & Travelers. We understand the problems an accident can bring and have designed the type of quality service that can take away the stress and worry of crash repairs. Following a major investment programme, Fitzpatrick's Accident Repair Centre uses the latest repair technology to repair your car to the highest possible standards. All of our Bodyshop Technicians are fully trained and certified to carry out repairs on all makes and models. Remember: It’s your car and your choice who repairs it. We understand the stress and problems a car accident can bring and we work with you and your insurance company to get you back on the road as quickly as possible. All repairs are fully guaranteed, carried out to manufacturers specifications, ensuring your warranty is not compromised and the re-sale value of your car is not affected. Now open on SATURDAYS for estimations and collections! Call us today for hassle free advice and a free estimation. 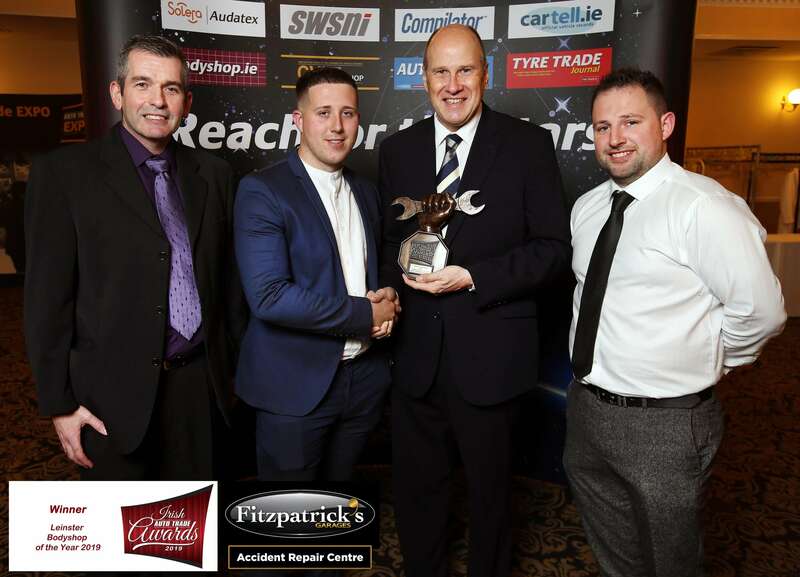 SIMI Bodyshop of the Year 2016, 2017, 2018, 2019! 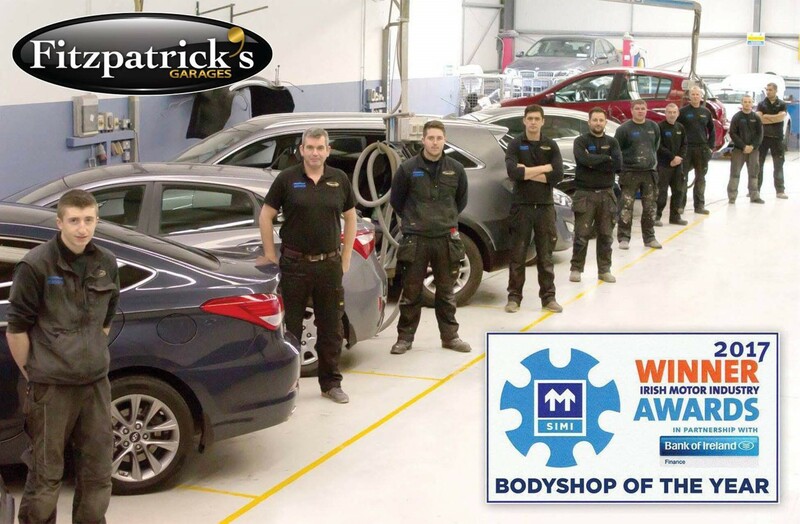 Leinster Bodyshop of the Year Award 2019!